Another installment in my Colette Spring Palette Challenge. This thing almost turned into one of those dreaded UFO's (unfinished objects), but persistence prevailed. The main problem was a clear design concept. That was made worse by my lack of dress form. I had chosen this gauzy teal fabric that begged to be draped somehow, somewhere, but without a dress form I have great difficulty designing something drapey. So I kept changing my design over and over and getting nowhere with it. Plus, I don't often do draping and am much more familiar with tailored and structured pieces. Once I settled on a design that worked, the thing flew together in no time. Included from my Spring Palette that I had chosen is the teal, red, and white. I added some almost tan colored bias tape for trim around the neck and the combination really does make me think of an old-fashioned ice cream parlor. 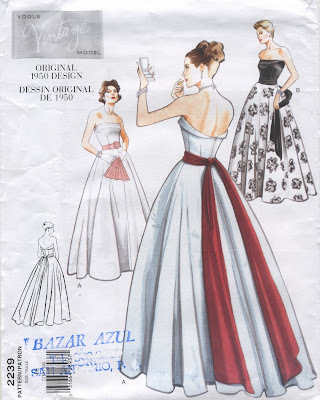 The bodice for this dress comes from the Vintage Vogue pattern 2239, which is what was used for my wedding gown and so many bodices since. Both the skirt (1/2 circle) and the yoke are self-drafted. The teal fabric is one of my many $4/m sale finds at Dressew and the red & white stripe fabric was a stash gift from my MIL. One of the great lessons along the way of making this dress was finally getting up the nerve to try the rolled hem foot on this beautiful machine I was given. Incredible! It was so easy (once I got the fabric properly inserted into the foot) and it is perfect for both those tricky circle skirt hems and a light fabric like this one. I see myself using this foot a lot in the future. Thankfully, the weather has really been turning to spring the past few days, so it made for a lovely chance to get out and about on Granville Island. I even got some friendly duckies that followed me around the whole time. The difficult thing for this frock was that I was about 90% done when something went wrong with my beloved machine, Ella the Singer. I broke a needle somehow and when I went to replace it, the new needle wouldn't go in. Through much help from dear hubby, we discovered that the little screw that braces the needle inside its home broke. Weird. I ran around to a few hardware stores and, of course, it is a specialty between sizes screw that nobody caries. I finally gave up and went home to finish via the old reliable hand-sewing I had spent so many years doing. A zooming-in on some of these next pics will reveal a few spots of hand-stitching.